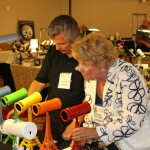 The Brewster Kaleidoscope Society is pleased to share with you many of the most popular questions we are asked about assembling, selling and collecting kaleidoscopes. If you have a question that is not answered in this or the KU, please feel free to submit one here and we will do our best to answer your question and add it to this list. As a member of the Brewster Kaleidoscope Society, you have the ability to Ask a Pro a question, and you will receive a personalized response. What is a Brewster kaleidoscope? A Brewster kaleidoscope is one of various kaleidoscopes made with the authorization of Sir David Brewster, the inventor of the kaleidoscope. Various manufacturers include Ruthven, Carpenter, and Bancks. These scopes are very rare and command a high price if one can be found. 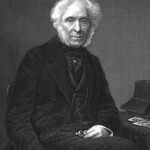 More information about Sir David Brewster and his kaleidoscope patent can be found here. What is a Bush kaleidoscope? A Bush kaleidoscope is a scope manufactured by Charles Bush in the 1870′s. These scopes are parlor scopes, covered in textured cardboard, a brass end object cell with ship’s spokes, and a 2-mirror system. The scopes were produced having several different bases including a pedestal base, a 4-legged based, and a rarer 3-legged base. The object cell includes many interesting pieces, including liquid filled ampules, drawn glass rods, and sometimes a swan. The brass object cell is stamped with the location and date of Bush’s patent, either Providence, Rhode Island or Claremont, New Hampshire. More information can be found here. A dry cell is an object cell containing objects only, with no liquid acting as a suspension. When turned, the objects fall with a distinctive “clink” as they rotate. An example of a dry cell is seen in the Brewster and Bush kaleidoscopes. What is a liquid-filled cell? What is a parlor kaleidoscope? A parlor kaleidoscope is distinguished from a hand_held kaleidoscope by its having a stationary base on which it sits. This allows the viewer to look through the scope and turn the object cell without having to actually hold the scope. What is a polarized object cell? A polarized object cell is a cell containing polarized lenses which filter out light rays that would normally pass through and illuminate glass pieces commonly used in kaleidoscopes. This creates a dark background for the image because the light has been filtered out by the cross polarization of the lenses. However, when bi-refringent material is placed between the lenses, the light is bent (refracted) and therefore since the light rays are at a new angle to the lens, they can pass through and are seen as varied colors depending on the thickness of the bi-refringent material and the angle of the light ray. The range of colors is caused by the light rays bending at various angles. What is a polyangular kaleidoscope? A teleidoscope is a kaleidoscope with no object cell. The image in the scope is whatever the scope is pointed at at the time. In effect, whatever the kaleidoscope is pointing at becomes the object cell. What is the difference between a 2-mirror and a 3-mirror kaleidoscope? In a 2-mirror system, two mirrors are joined at a triangular vertex. The remaining side of the triangle is constructed of a non-reflecting material, usually black. This configuration creates a circular central image known as a mandala. In a 3-mirror system, the third side of the mirror triangle is an actual mirror. This configuration creates a continously reflecting pattern. How do I attach my mirrors together? Kaleidoscope artists each have their own methods. Some foil and solder the edges, some use hot glue or silicone, some use masking tape. The main objective is to firmly hold the mirrors in a fixed position in a manner that will withstand jarring, bumping, dropping(! ), etc. How do I cut my mirrors straight? Practice, practice, practice. Once again, there is no substitute for the experience gained by constant repetition. Several artists such as Don Doak and Randy Knapp have developed sophisticated cutting boards which aid in consistently straight cutting. However, other artists simply use a Morton© board and straightedge to cut their mirrors. You have to find the way that works best for you. How do I seal my liquid cells? A common method is to use ultraviolet (UV) glue to seal the acrylic chamber top and bottom. Then the side of the chamber is tapped to accept the threads of a grub or set screw. The chamber is filled with liquid, and then the thread of the screw is coated with UV glued and screwed into the chamber, sealing in the liquid. Is there a formula for the length versus the width of mirrors? There is no formula but there are certain considerations in deciding the length and width of a straight mirror system. A kaleidoscope that has mirrors that are about eight inches long allows a person to see the image clearly with normal eyesight. Shorter and longer mirrors needs a lens to help a person focus on the image. A wider or larger mirror system allows more light to enter the mirror chamber. What are some considerations in placing the location of the eyehole? For a 2-mirror system, it’s important to note that the closer to the apex where the two mirrors meet, the more accurate the reflected image. While earlier scopes had a round eyehole in the center of the scope end, many later scopes have incorporated a teardrop-shaped eyehole, which enables the viewer’s eye to get closer to the “sweet spot”, hence creating a more symmetric image. What fuels are used in lampworking? What is a “kit” scope and where can I get one? 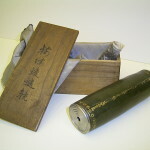 A “kit” kaleidoscope is a package sold which contains all of the materials necessary for creating a kaleidoscope, including the mirrors, eyepiece, exterior panels, etc. These kits are available from Clarity Glass Design (BKS Retailer Member) and Delphi Stained Glass, among others. What is a front diopter lens and why is it used? A front diopter lens is a magnifying lens used as an eyepiece in a kaleidoscope. Its purpose is to make the image appear sharper, and its required strength is dependent upon the length of the kaleidoscope. What is meant by a “turned” kaleidoscope or object cell? What is the best way to learn how to make a kaleidoscope? The best way is to get someone to show you how. There is no substitute for actually seeing and doing. There are several books listed on the BKS website Bibliography page which provide detailed instructions for making kaleidoscopes. What is the best way to learn lampworking? As in the question regarding making kaleidoscopes, the best way is to learn from an artist already skilled in lampworking. There are many variables involved (flame heat, pulling techniques, annealing) and having someone to help you learn the basics is invaluable. Also, there are many books on the market dealing with lampworking. What is the best way to start selling my kaleidoscopes? There are several possibilities. One is to contact established retailers of kaleidoscopes and present your work to them. If you’re just starting out, another way to test the waters is at local arts and crafts shows. This will give you an idea of whether your scopes are marketable, and can also help to determine their market value. Many sellers also choose eBay as a way to sell their goods. What liquid is used in a liquid filled cell? Common liquids used for wet cells include glycerin and mineral oil. Many artists have switched from glycerin to silicone, due to glycerin’s tendency to absorb moisture over time, which may cause eventual leakage problems in the cell. Where can I buy scope making supplies? Found objects are ordinary items which are used as art objects. Gears, wheels, wire, pipe, driftwood, vases and many more used objects looking for a new life and a new home. What are liquid filled ampules? Liquid filled ampules are sealed glass tubes containing liquid which are used as objects in an object cell. 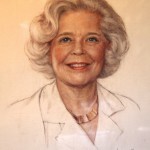 One of the earliest examples of their use is found in the scopes of Charles Bush. These ampules were manufactured in the late 1800′s and are still largely leak-free today. Bringing the art of liquid filled ampules to an even higher level was accomplished by Bill O’Connor in the mid 1980′s. Other contemporary artists who make liquid-filled ampules are Marc Tickle and Ben Straub. A front surface (or first surface) mirror is usually defined as a mirror having the metallic reflective coating on the front side of the glass or other backing material but can also be made of highly polished metal. Ordinary mirrors, including automotive mirrors and common bathroom mirrors, have the reflective coating on the back surface of the glass– we look through the glass at a reflection coming off the back side. As the image passes through the glass it becomes slightly distorted and blurred. This is great for the bathroom mirror but limits the image creation in a modern kaleidoscope art work. Front surface mirrors offer more infinite and clear reflections. They originated in the mid-1900 in the space program. What is dichroic glass and why is it used? Dichroic glass is glass which shows different colors depending on the angle of light falling on it. Dichroic glass is created by a process that deposits and adheres multiple layers of metals onto the surface of the glass. The glass manipulates light by transmitting one color through the glass while a second color is reflected from the surface; hence the name dichroic. Dichroic glass lends excitement to the objects in a kaleidoscope image, being very bright and reflective. Layers of glass are cut; the edges are diamond ground, then stacked in a kiln. The kiln is heated to approximately 1500 degrees. The temperature varies greatly depending on many variables including the type of process, the type of glass and the thickness of the entire piece. When this “process” temperature is reached the glass is baked, or “soaked”. This soaking process causes the glass to attain a liquid state. As a result, the layers bond, or “fuse” and become a solid piece. Additional surface treatments or decorations may be added to the glass, and once again the glass is heated. This time the process temperature and soak time are dictated by the specific applications. 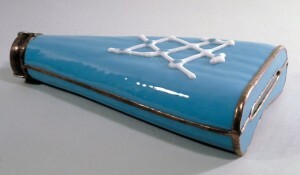 If the glass is to be slumped into a form, such as a bowl, the fused glass is placed on top of a mold and once again heated. It remains at the process temperature until the glass has softened and assumed the shape of the mold. Lampworking is the process of melting glass over a flame or torch and then manipulating the glass to produce a desired object. What is Murini and millefiori glass? Millefiori is an Italian word meaning “thousand flowers.” Although the process was developed much earlier in Egypt, it is now most identified with a glass making technique in Venice where hot layers of hot glass were laid over-around each other to create an image, then stretched into long rods (the image might be flowerlike, concentric circles, etc.). These rods were then cut into one-foot lengths called millefiori rods. From these one-foot lengths, very short lengths were cut and laid next to each other in a contained shape or around a bead base, for example, and then melted together again to create a finished item called a “murrina” (after Murano, an island in the city of Venice). What is reverse painted glass? Simply, reverse painted glass is glass that has been painted on its inside surface, rather than its outside surface. This technique allows the colors to show through from the back side of the glass, giving them added depth, while the outside is enabled to be handled without wear or damage. Slumped glass refers to glass that is heated in a kiln over a form or in a mold so that it takes on a new shape. It is also referred to as forming or sagging. Slumping and sagging are often used interchangeably, but when there is a differentiation it is that sagging refers to a piece of glass supported at its edges, so when it’s heated, the center sags down to conform to the mold. Slumping refers to the opposite situation, where the glass is supported in the middle, and the edges slump down to conform to the mold. Are kaleidoscopes a good investment? As with all investments, it depends. Generally, a quality art kaleidoscope will hold its value fairly well like a quality sculpture or glass work. If the scope has received proper care and is in very good to excellent condition, its value for resale will be better. The cyclic nature of general economic conditions can also play a role in determining a scope’s value as well as the rarity of the kaleidoscope. 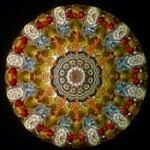 Finally the value of a kaleidoscope can best be measured by what someone else is willing to pay for it. Are kaleidoscopes considered “real” art pieces? Yes, at least, we at BKS think so and hope to continue to convince others. Kaleidoscopes came into existence 200 years ago and do not have the long history of other art forms such as painting and sculpture though many can be considered sculptures. 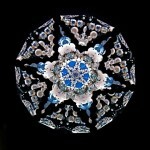 In some ways kaleidoscopes may be considered part of the modern interactive art movement. Current kaleidoscope artists use front-surface mirror creating visually enthralling interior designs with which the viewer interacts. Many of the current limited edition kaleidoscopes being made can certainly be considered “real” pieces of art in every aspect. The Brewster Society’s mission is to promote kaleidoscopes as an art form. Do all kaleidoscopes use front surface mirrors? Almost all contemporary art kaleidoscopes use a front reflecting surface mirror which usually has a glass backing to provide the highest quality in the reflected image. Artists continue to push the boundaries of the reflected image and as technology and techniques advance so will art. How can I get my kaleidoscope repaired? There are several sources to check for help. If you purchased the kaleidoscope from a retailer, most BKS retailers are willing to help you find a way to get it repaired. Removable wheels and object cases can sometimes be an easy repair. Damage to the body of a scope can be more difficult and costly. Many artists will offer to do repairs for a reasonable cost plus shipping. Check the advertisements in the BKS newsletter as persons who repair kaleidoscopes advertise there. Sadly, catastrophic damage which effects the mirror system of a sealed chamber or shatters glass are usually not repairable. How can I sell some of my kaleidoscopes? The internet is a common way to sell second-hand kaleidoscopes. Besides general auction sites where you can sell anything, there are also art auction companies that handle online sales and bidding. The BKS newsletter accepts ads for items for sale. An ad price sheet and submission form can be found on the BKS newsletter website page. If you are a BKS member, you can contact other collectors through the “Members Only” section or at the next convention. How do I keep the solder on my kaleidoscopes shiny? One method is to remove any oxidation present with 0000 steel wool, and then polish using a stained glass finishing compound. Or coat the solder carefully with a layer of clear polyurethane, after polishing with the steel wool. Some artists have the solder electro-plated with a shiny metallic coating during their scope construction process before inserting the mirror structures. Ask the retailer or artist about maintenance when purchasing the kaleidoscope. How do I organize my kaleidoscope collection? 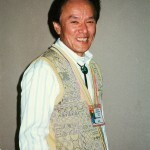 Date, location and the amount of the purchase, name of artist, title of the work, style and features of the kaleidoscope and photos are often recorded either in paper records or now in computer records. Organizing or keeping a record of your kaleidoscope collection can be useful in many ways. It can be for your own information and pleasure in your collection. It can provide information to your insurance company in the event of loss, theft, or damage. Having detailed information for each scope aids in determining its market value. It also helps to know what you have when you are looking at new kaleidoscopes. Should I buy kaleidoscopes through online auction sites? Any internet market is a “buyer beware” situation. Bargains can be had but beware of the duds and the knock-0ffs. Do your homework and check out sites thoroughly. Should I insure my kaleidoscope collection separately? This is a question best asked of your personal insurance agent. However, keeping records of your kaleidoscope collection regarding the price paid, details and features about the scopes, and photos of the scopes themselves are very important in the case of loss, theft, or damage. What are good lights to use to illuminate kaleidoscopes for viewing? A light that provides a full-spectrum light is a good choice for most kaleidoscopes. 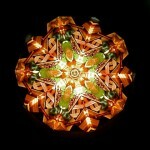 Also a light that does not produce excessive heat that may damage the kaleidoscope is a good choice. Small but bright handheld intense beam flashlights allow you to pick up some of the more reflective image objects. What is a “boxed set” kaleidoscope? A “boxed set” kaleidoscope is generally one or more kaleidoscopes with several interchangeable object cells which all fit into a specially crafted box or container and were sold as a unit. What is a good “starter set” of kaleidoscopes? There really is no answer except personal preference. A variety of object end types may be an interesting start such as wheel, dry and liquid cell and a teleidoscope. What is the best place to find antique kaleidoscopes? Developing a relationship with a kaleidoscope or antique retailer is useful, as they may come across antique scopes from time to time. 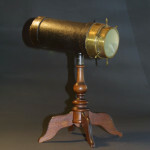 An Internet search can often turn up leads for antique kaleidoscopes as well. Meeting and talking with other BKS collectors at convention is often helpful in finding sources. Looking at the advertisements in the BKS NewsScope is another source. What is the difference between a production kaleidoscope and a limited edition kaleidoscope? A limited edition kaleidoscope is produced in a small limited quantity set by the artist. The artist produces only that many of a given design, regardless of collector demand. In contrast, a production scope is made in much larger quantities and may actually not have a limit to the number that the artist will continue to produce. Typically a production scope is less expensive than a limited edition. 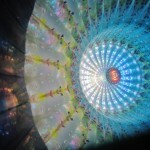 A production kaleidoscope created by an artist is of high quality. What makes a particular kaleidoscope valuable? Many factors contribute to the value of a kaleidoscope, namely its rarity and reputation in the kaleidoscope community, whether its design broke new ground at the time of its introduction, the execution of its manufacture, and the timelessness of its design. 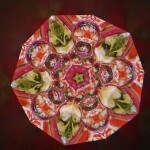 What qualities make a good kaleidoscope image? 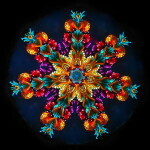 There are several qualities to look for in judging a kaleidoscope image. The most obvious is the symmetry of the image if it is intended to be symmetrical. There should be no broken images along the lines or segments of the image where the mirrors reflect. Secondly, there is the cleanliness or sharpness of the image. Mirrors can chip along their seam and create spots in the image that are not pleasant. The mirrors should be dust-free. Most mirrors are sealed at both ends but some are not. Accumulating dust will continue to blur the image. The choice of objects for the interior image should not be too few creating a sparse image or too many creating a crowded image. What should I do if my liquid-filled cell leaks? Your best option is to contact the retailer who sold it to you and explain the situation. Most retailers will work with you to get it fixed. Many artists are now making liquid cells that can be easily exchanged. What should I do to maintain my kaleidoscope collection? Keep the glass eyepiece and object chamber clean with a gentle glass cleaner sprayed onto a soft cloth not onto the scope. The scope exterior must be maintained according to the material of the exterior. If dealing with a BKS retailer or artist be sure to ask about continuing care. What should I look for in a kaleidoscope retailer? One of the most important qualities to look for in a kaleidoscope retailer is their ability to provide you with information regarding any scopes in which you might be interested. If you currently do not have a favorite retailer, you can look at the Kaleidoscope Galleries page on the Brewster Kaleidoscope Society website to contact one that interests you. What’s the best way to display my kaleidoscope collection? Display methods are as individual as collectors. Some display their scopes all in a single room in the house, while others scatter them throughout their home. Some have built special wall shelving on which to perch their scopes. After you begin collecting scopes, you come to realize that they can take up a significant amount of room. Efficiently displaying them yet keeping them accessible for viewing can be quite a challenge. One important note is that scopes should generally be kept away from direct sunlight. The light and heat can cause damage to exteriors, liquid cells and mirror alignment. Where can I buy kaleidoscopes? The Brewster Kaleidoscope Society maintains a list of kaleidoscope retailers on the Kaleidoscope Galleries page.